From supermodel comebacks to the accessories we’re coveting. 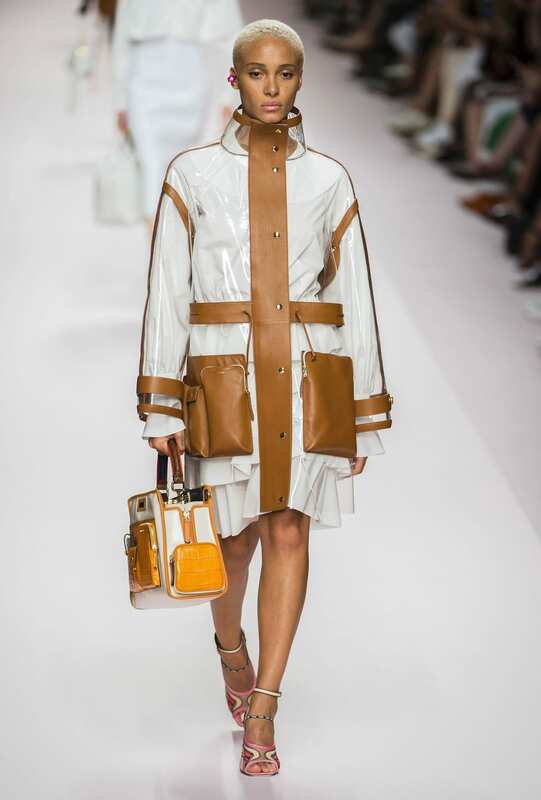 We round up the best fashion moments from Milan Fashion Week SS 19. 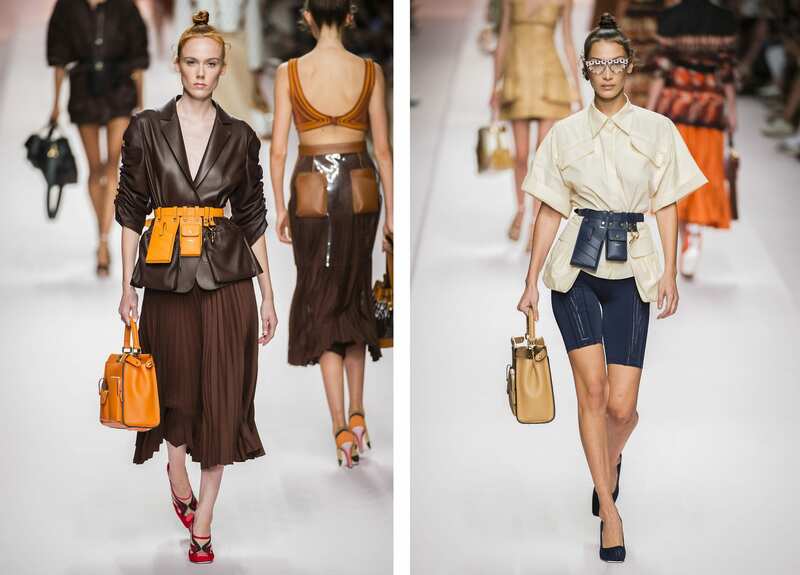 Bags, leather, utilitarian jackets, belt bags, bike shorts, pockets, and let’s not forget the iconic Fendi baguette. 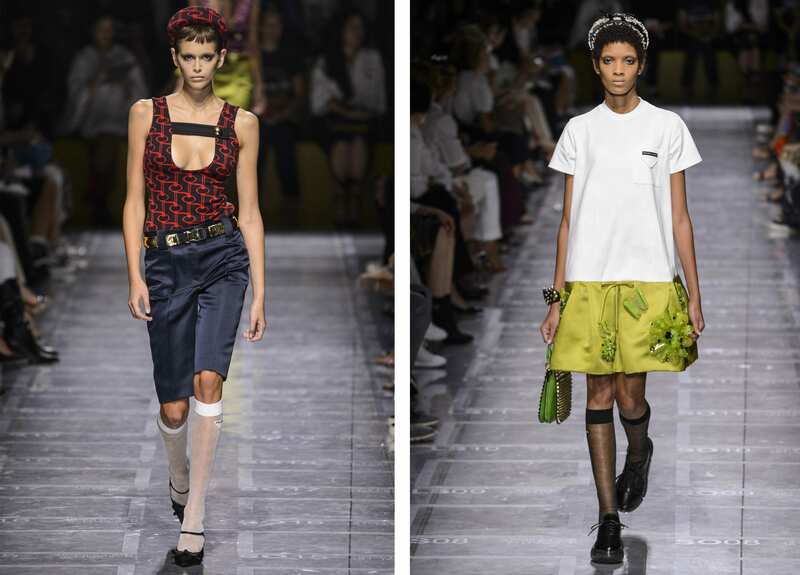 Silvia Venturini Fendi and Karl Lagerfeld brought back the classics for SS 19. Shady ladies. 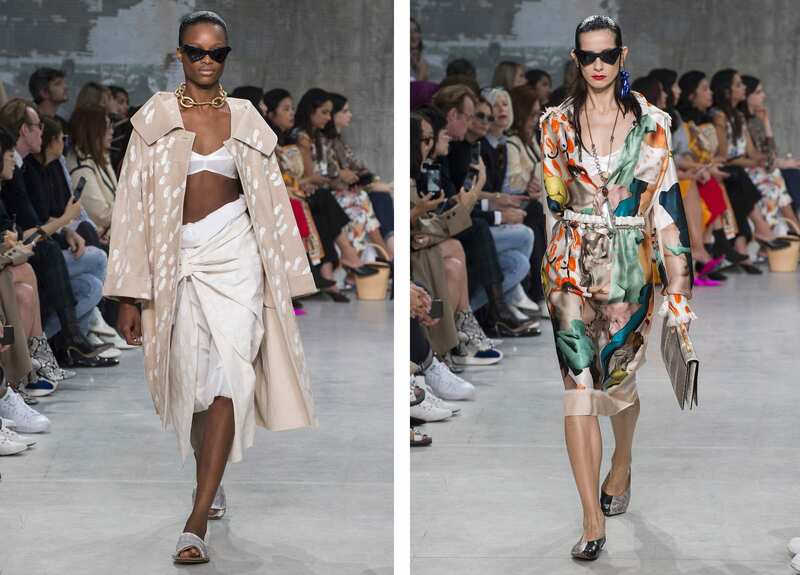 Colourful printed fabrics, luxurious draping and a strong accessories game were the order of the day at Marni. In her stride. A display of timeless wardrobe staples for the modern woman – think tailored pantsuits, trench coats and evening dresses. Art attack. 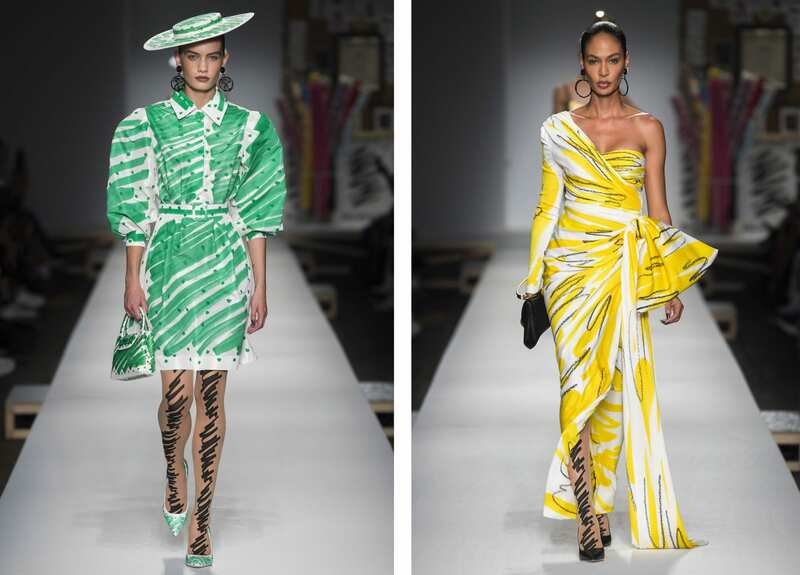 Squiggle sketches meets 80s-inspired tailoring. Colour me happy. Here to party. 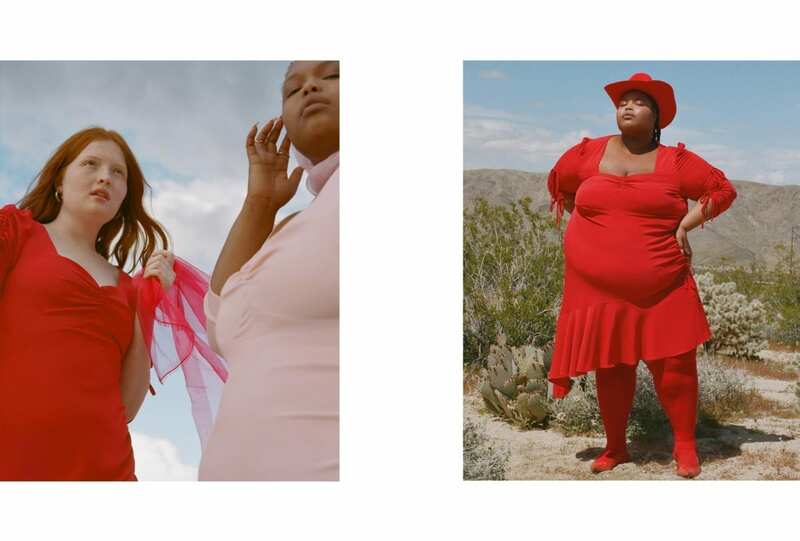 From feathered mini dresses to tie-dye denim, clashing prints and more. 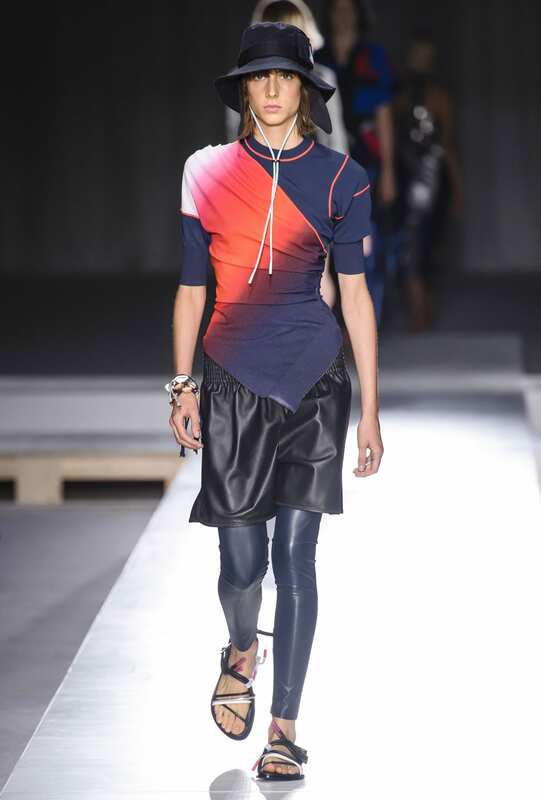 Massimo Giorgetti’s collection had us dreaming of a world in technicolour. 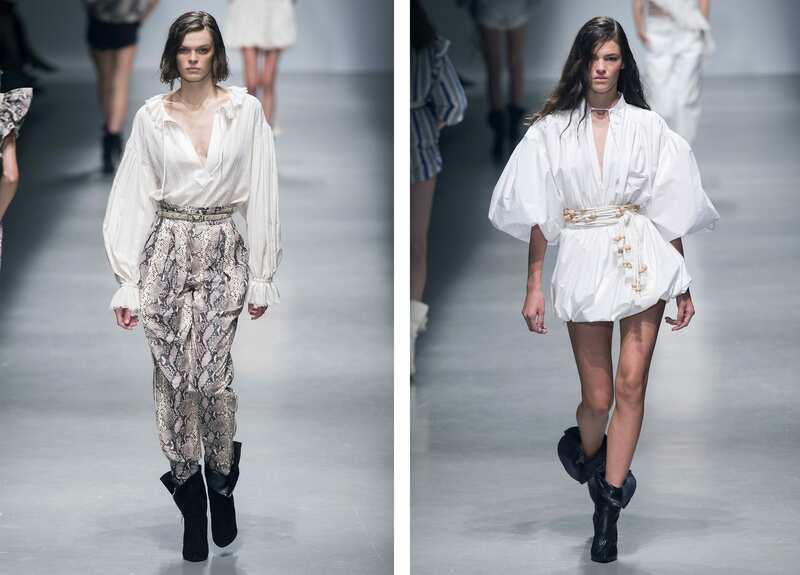 Snakeskin prints, puff sleeves, mini ruffle dresses, sweet lace and touches of skin. A midsummer night’s dream like no other. Long biker shorts, knee-high socks, crisp collars, fresh t-shirts and plunging necklines, all showcased at the Fondazione Prada’s breathtaking multipurpose performance space. Careful cut-outs, sequinned mini dresses, a patchwork of clashing prints and embellished blazers. Bring me the night, Cavalli. 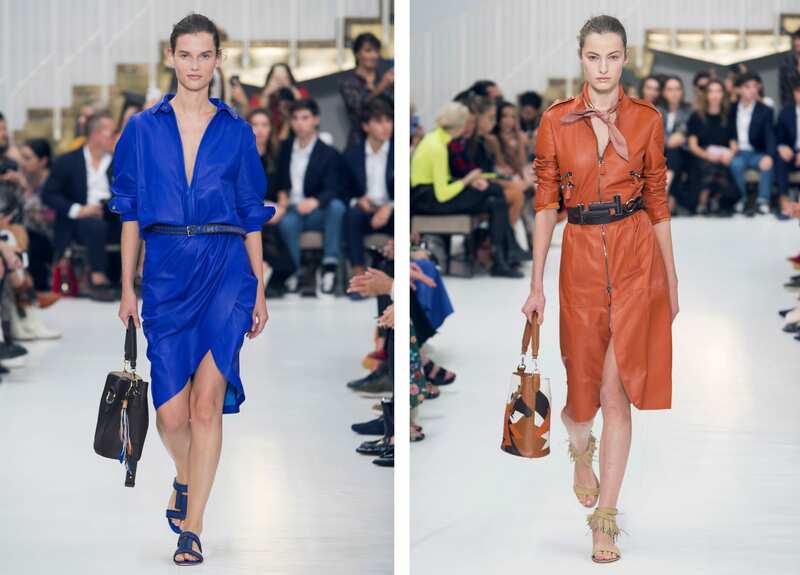 Stella Tennant continues her Fashion Week tour de force, opening the Ferragamo runway in tonal camo hues. 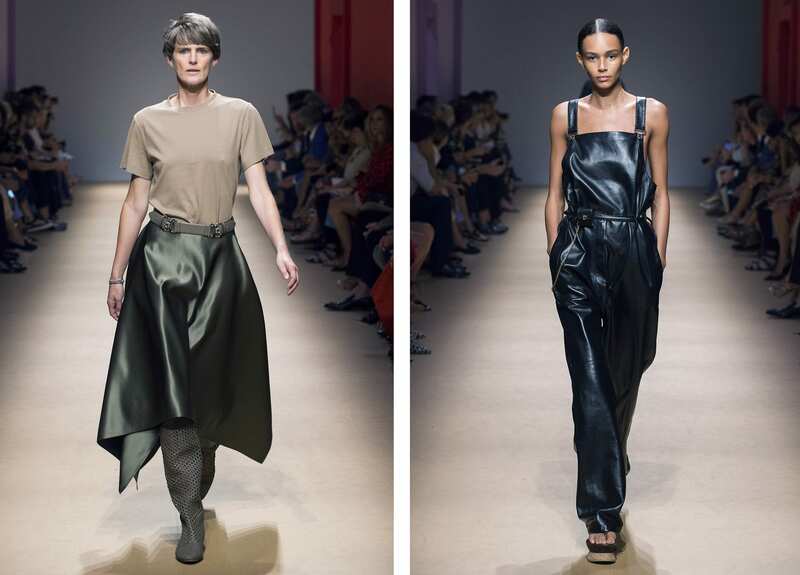 Special mentions go to the beige and khaki workwear, and the sleek leather jumpsuit we couldn’t take our eyes off. Never have bikinis and blazers made such comfortable bedfellows. A very wearable combination of 9-5 work-wear and surf-inspired pieces. Leather for days, and even in summer. 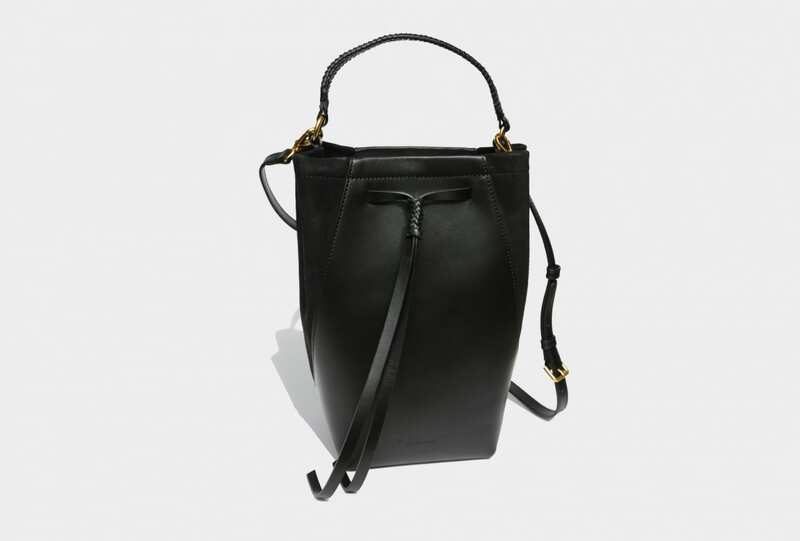 Rich, earthy tones interspersed with pops of electric blue and touches of suede, with the perfect bag for the everyday. 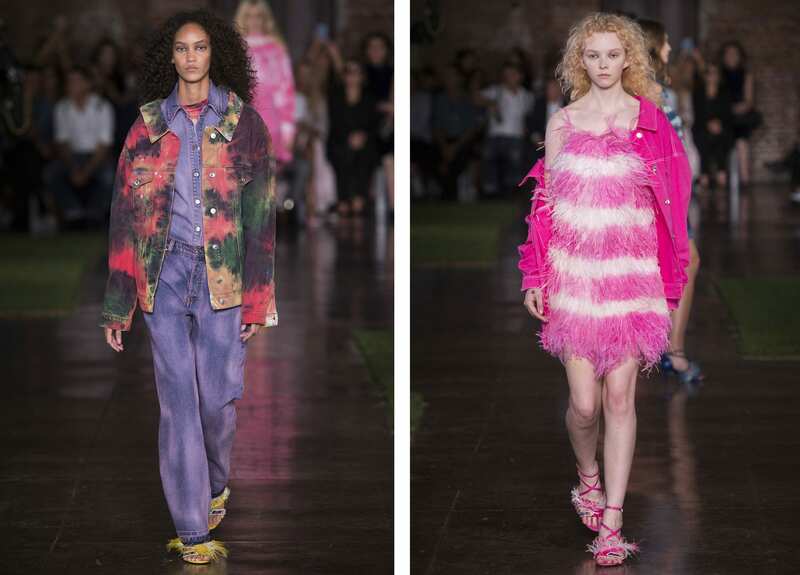 Donatella presented bright colour, a mash of floral prints and mini party dresses for those nights that you never want to end, but it was the return of 90s runway icon Shalom Harlow closing the show that we’ll never forget.